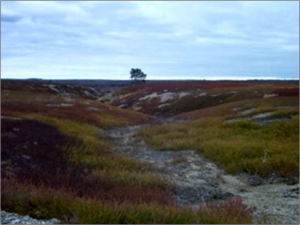 The vast wild blueberry barrens are endemic to the foggy coastal regions of Down East Maine and the Canadian Maritimes. 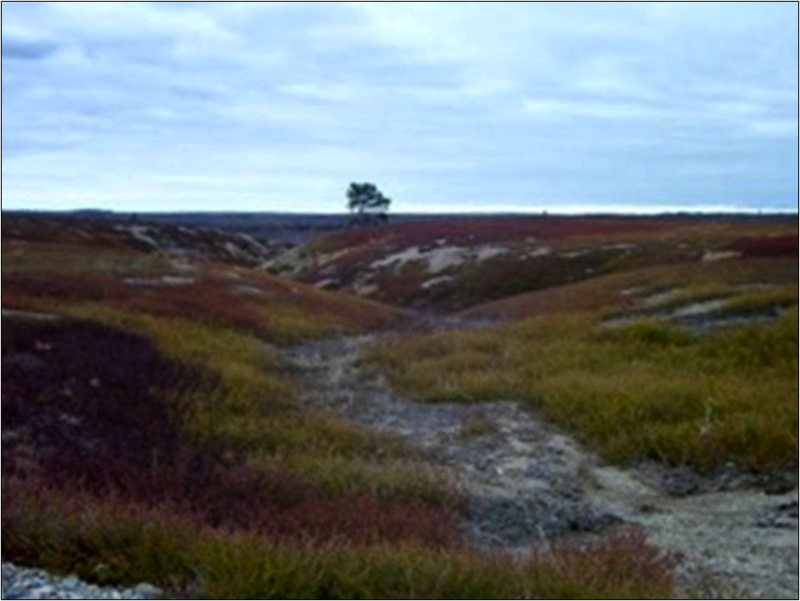 The sandy soils and fog that frequently blanket the region on August mornings are believed to result in the high quality of wild blueberries. While there is no formal, concerted effort to protect them, a disparate collection of public agencies, private organizations, and Native American tribes are committed to their environmental stewardship. The blueberry barrens have been tended since the last ice age, initially by First Peoples and later by European settlers. 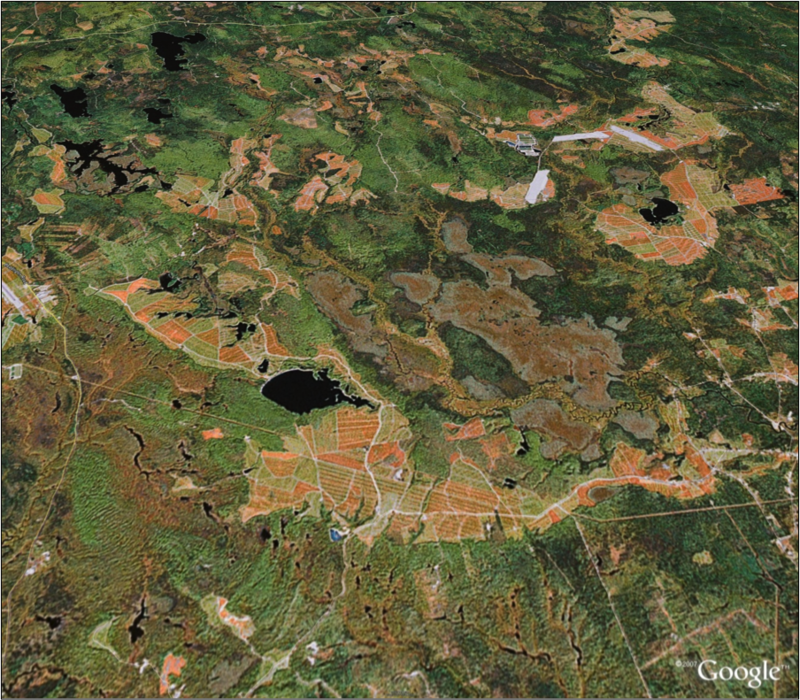 The 60,000 acres of treeless plains contrast with the surrounding forest. 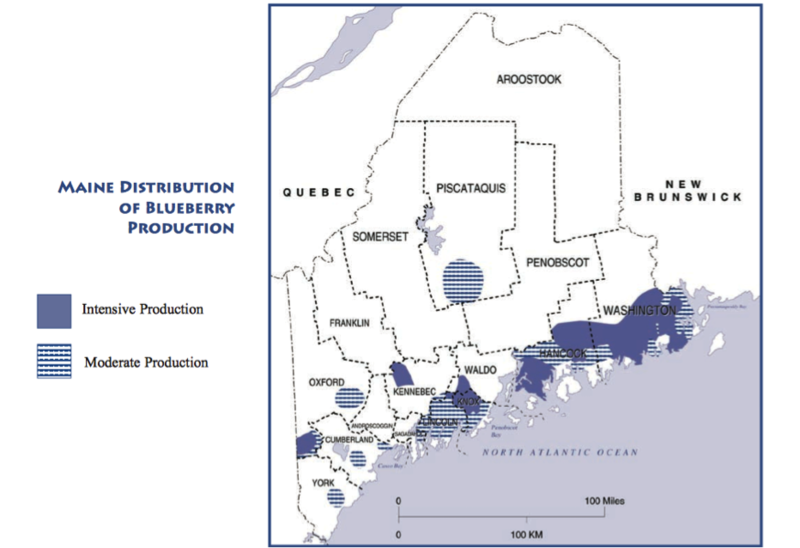 Traditionally burned and hand-harvested every two years, the wild blueberry barrens of Down East Maine continue to be harvested by members of the Micmac and Passamaquoddy tribes. Ithaca, NY for this featured landscape.